I have macOS High Sierra 10.13.3 installed on my Z370 ASUS ROG Maximus X Hero hackintosh and I’m really liking it so far. The only thing I didn’t bother to look into is Thunderbolt as I don’t have any TB3 devices, other than that this is a fully working hackintosh. Of course for my main system that I was going to run everything on I wanted to go with the best of the best this Intel i7-8700k 12 thread CPU is an absolute beast I also didn’t think it was appropriate to pair a almost $300 motherboard with any other CPU. 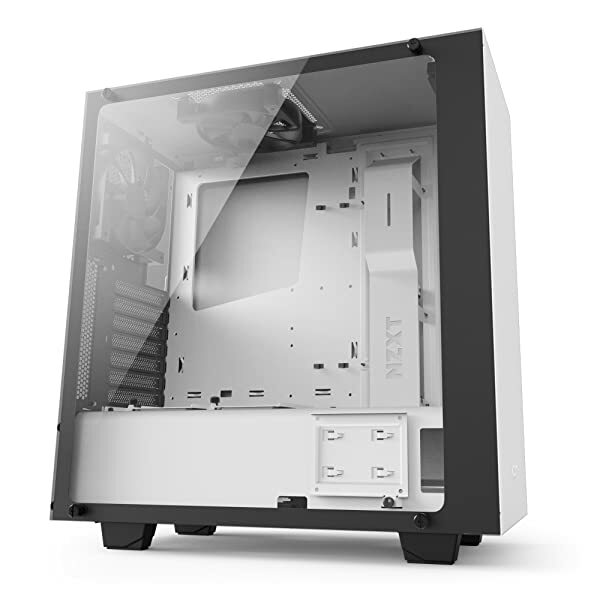 For my cooler I originally went with the NZXT Kraken 62, despite reading about all the people who have had their pump stop working on them. I bought it anyways because I wanted to go with the whole NZXT look to match my case. I didn’t think it would happen to me, but it did. The pump died on me as I was writing this so I can’t recommend it. If I had known about the Corsair H115i PRO that just came out in Jan. 2018, right after I bought the X62 I would have definitely gotten that instead for something newer and from the reviews seems less prone to failure. 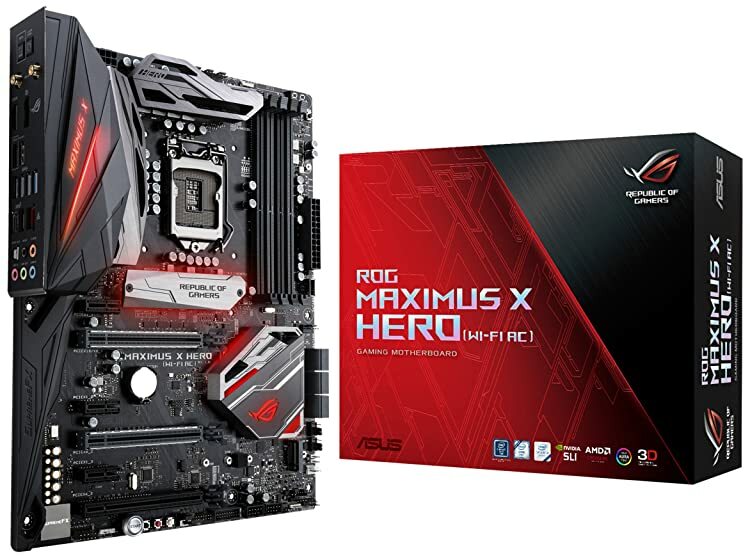 The ASUS ROG Maximus X HERO makes a great motherboard for a hackintosh. I was very happy with my ASUS Z270i SFF hackintosh so I decided to go with ASUS again for my main build. The ASUS ROG Maximus X Code is also another good ASUS motherboard to turn into a hackintosh and to which this guide can also be used for as it’s so similar to the HERO. I’ve would have gotten it myself, but when I at the time I bought the HERO the CODE wasn’t out yet. What I like about the HERO and especially the CODE is that they actually come with a decent amount of USB ports something that is severely lacking on most Z370 motherboards. Audio: ASUS uses there own version of ALC1220 called S1220 or S1200A, which can be gotten working quite easily with Lilu.kext + AppleALC.kext + CodecCommander.kext. I used layout-id: 1 for S1220 chipset found on this motherboard. However there is one quirk with the audio chipset and ASUS where if you sleep the hackintosh and try to wake it as it’s preparing to sleep, audio will be broken when the screen wakes. To fix this, sleep it again, this time allowing it sleep fully before waking it. To prevent this issue from happening, don’t interrupt sleep with wake events until after sleep starts (i.e. fans stop spinning). Using darkwake=0 or darkwake=1 + disabling Power Nap can help prevent audio breaking after sleeping. Doing this and not interrupting sleep S1200 works reliably and hasn’t broken for me at all. It’s also recommended to use darkwake=0,1 because leaving darkwake as default on ASUS motherboards can cause restarts in sleep every now and then. FixShutdown is needed so that the ASUS hackintosh doesn’t start back up after shutting down. All USB ports and USB 3 speeds work, however if you plug a flash drive into either the ASMedia USB 3.1 Gen2 Red port or USB-C port and sleep the hackintosh the flash drives will throw an eject error on wake. Updating the BIOS didn’t solve this issue for me, like it did with my ASROCK build. 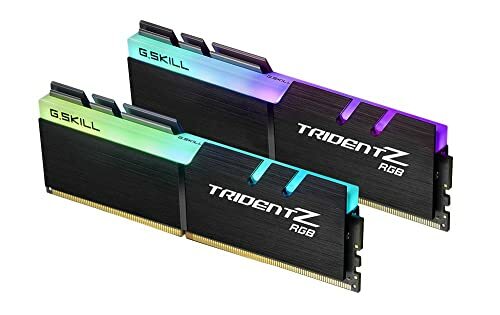 The TridentZ RGB RAM by G.skill is perfectly compatible with a hackintosh running macOS if anyones wondering. I’ve haven’t experienced any RAM related issues or kernel panics so I can definitely a good buy if you are looking to add some RGB. For this build I only needed 16GB over 32GB or 64GB. I would have got more, but didn’t want to spend the extra $200-$600 for something that would have cost me half last year. Supposedly RAM prices are going to stay high until the second half of 2018 when Samsung ramps up production. 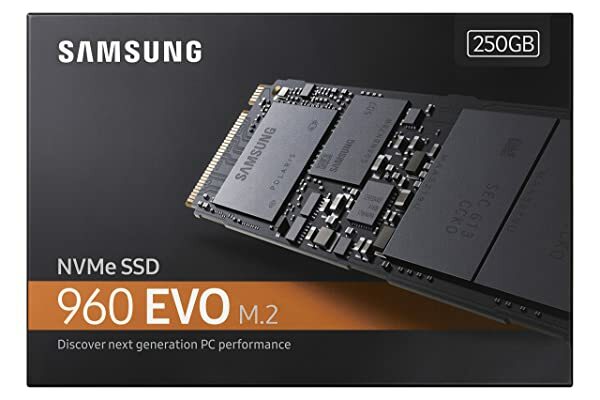 Samsung NVME drives are natively supported in macOS High Sierra so if you want the fastest storage access on macOS, without a Mac you’ll want an NVME drive. I went with Samsung over the others because of it’s reliability. Getting an NVME drive doesn’t really improve the boot speed over a normal SSD on a hackintosh the boot time is still around ~20 seconds for me, but it does of course does drastically improve the read write speed in macOS. When using ASUS motherboards I’ve prefer AMD graphic cards because from my experience with Z170/Z270 theirs been times when sleep wouldn’t work properly with Nvidia. For example in my old ASUS Z170 build there were times when the hackintosh would wake immediately after sleeping or wake immediately and then finally go to sleep. I will say did briefly slide GTX 1050 Ti in this HERO build for a couple days and didn’t experience that same issue I did a year ago. Luckily I was able to snag an RX 580 right before the crypto mining craze came back. 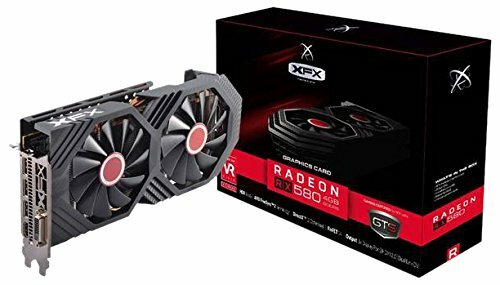 If you want an AMD graphics card you can still get an RX 560 now and then sell it later for most of what you bought it for if you want to upgrade to something more powerful. I’ve also been using a Gigabyte RX 560 in this build and it works without any problems as I’ve been thinking of flipping the RX 580, while there still selling for $500 used. The EVGA G3 has an ‘ECO’ switch on the back that will only turn the fan on under load and is very quiet even when the fan is spinning. 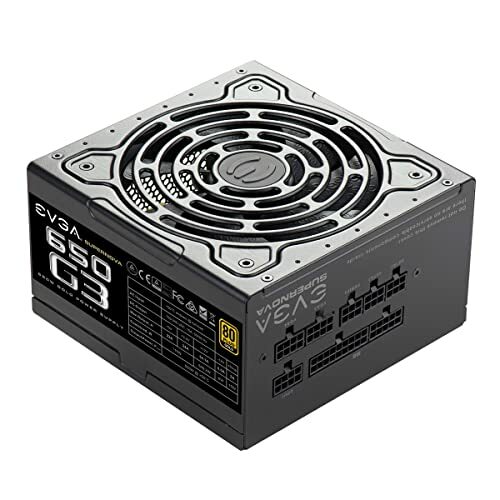 This is the exact opposite of the EVGA EVGA G2 power supply I used to have, which made a repervetating/humming sound that I could hear over all the other fans in my case, likely due to it’s stamped steel design, unlike the G3. So if anyone’s power supply choice come down to the G3 vs G2, I would definitely recommend getting the quieter G3. The NZXT S340 Elite has to be the best ATX case I’ve ever build in hands down. I can see now why it’s so popular by what your getting for $99. Whatever the white coating is on the case it’s really nice to touch and the tempered glass is so clear sometimes I can’t even tell that there’s a glass panel especially at night. I was originally going to get the NZXT H700i, but then I saw the S340 Elite at only half the price for two cases that look almost identical I was leaning towards the S340 Elite, then I saw the reviews on the H700i side panel blowing up like this guy, which made the choice a lot easier. 1. The Top Shielding first has to be removed. That can be done by removing a couple screws if you flip the motherboard over. 2. To remove the built in backplate remove the two clips on each side on the Rear IO. 3. Remove backplate after detatching from clips. 4. Remove the two screws under the WLAN slot to unseat the silver enclosure. 5. The silver enclosure has a screw on it’s side which needs to also be removed to be able to pry open the enclosure. 6. There will be a screw holding down the WLAN card, unscrew it. 7. There will also be adhesive holding down the card. To get it off the adhesive you want to push it alternating from both the bottom at the top. 8. Screw in your replacement card and before putting everything back together, seat it into the WLAN slot to make sure it clicks in to place. With ASUS antenna enclosures the card has to be perfectly position on the screw. If too low it will slide off the screw holding it and if too high that it click fully into the WLAN slot. 69 Comments on "ASUS ROG Maximus X HERO Hackintosh Build Guide"
you made my day. This is exactly what I needed. I have a question: do you think any issue could happen if I switch the CPU to a i5 8600k, i5 8400 or a i3 8xxx serie? I would definitely get an i5 over an i3 since the i5 iGPU is natively supported while the i3 isn’t. Thanks you. Do you recommend a particular model of i5? Both work it depends on what you want to do they both work. Can you set nzxt fan profiles somehow on hackintosh? Or RGB settings are there guide somewhere what to use or not? so if you have the code mobo,you don’t need to switch the wifi +bluetooth card,is this correct? I will be attempting a Strix Z370-I build, I think I should be able to follow this guide, all the way down to the Wifi card replacement. I have the same kind of setup as you have. I only have a 1080ti in it. can you also use airdrop? i cant use the default wifi card of the asus maximus hero x? You might be able to get basic bluetotoh working, but you need a Hackintosh compatible WiFi card as in a card that apple has used in there Mac’s before inorder to get Continuity working. I just tested 4k60 with this GTX 1050 Ti and it’s smooth as butter. thanks 🙂 i wil try that later this day. i also test my bluetooth dongel with airdrop, but it didn’t work. i will buy the wifi card u used. I really like that wallpaper ….. Can you give a link pls ?? do you have windows 10 support on the wifi – bluetooth card? I’m planning on using an ASUS ROG STRIX 307-i, so I think the m.2 DW1560 will work for me. Everywhere I’ve read, it says that the DW1560 is native. Is it plug and play or do I have to still “hack” it with kexts? I realize that this is an old thread so fingers crossed for a reply! To fix it, I remove those files from the EFI, restart, add them back, restart again and it works. Until the next restart. Ok, I may have fixed the sleep issue by disabling ‘Enable PowerNap’ in OS Settings. I missed this step the first time around. Currently using darkwake=0 too. I’ll test sleep overnight and report back. That’s good to hear, I’ll be here! Also, I’m just using the SSDT patch, not the HDMIaudio.kext and display audio is still working. Very good built ! I like your monitor, can you tell me your monitor make and model number ? Thanks! one more question…. How do you control the water cooling ..?? Really nice build! I’m just waiting for the parts to come to build a very similar to yours, thanks for sharing! What keyboard is that in your picture? It seems to be a somewhat compact mechanical keyboard. Did the same build but with a Corsair H115i Pro and works AMAZING!!! Thanks for an awesome guide! Does your Optical/Digital out work correctly? I can’t seem to get it to work to pass DTS/Dolby Digital, when AC3 is played and DTS/Dolby is set, no sound is played. I’m assuming the only way forward from here is to use AppleHDA kext. I tried using https://github.com/toleda/audio_CloverALC?files=1 but I think I need to uninstall the existing AppleALC and Lilu first. When I tried removing those two kexts and restarted, the login screen went blank. Had to replace those two back again. Anyone have a solution for full audio and surround to work correctly? Which video card should I go with if I use After Effects and Final Cut Pro X mostly? I would stick with Sapphire or Gigabyte if getting a RX 560. Great build! I’m on the verge of buying all of the parts, but just curious if you happen to run any Adobe CC apps on it? I’m currently running an older ASUS RIVBE with the XFX RX 580 and Sierra but having freeze issues every time I open up Illustrator or Photoshop. Thanks in advance. I was just editing 4k photos in Photoshop and have used Illustrator for icon design there hasn’t been any freezing whatsoever. Thanks for the reply. Interesting. I’m guessing it’s something in my config. Everything is running fine, until I start opening Adobe CC apps. Wanted to see if I can salvage this build (Rampage R4BE, i7-4960X, 64GB RAM, XFX RX 580) before pulling the trigger on the Maximus Hero X and i7-8700K. Again… much appreciated. just one thing, why is there such a difference in price if gigabyte has more ports? Oh I totally overlooked that sorry. Yes you need a motherboard that has a TB3 header on it to use any TB3 card. The ASUS Rog Maximus does not have one, but this cheaper one does https://www.amazon.com/PRIME-LGA1151-Motherboard-Generation-Processors/dp/B075RJHN2D/ If I was in your situation I would get that other motherboard and try out and see if it works, which it should as someone else on the site had reported that it does indeed work and then sell the Maximus on eBay or return it if you still can. Just to be clear.. This will be my first hackintosh build.. Thank you for the write up..
With the ASUS ROG Maximus X Hero motherboard.. i will never be able to add Thunder bolt 3 slots in the future?? I just completed this build and MacOS install and everything was smooth and my system is running fine. I have a different case and a Sapphire Nitro+ Radeon RX580 8G, but those are the only departures. On the Motherboard BIOS, I was not able to disable Secure Boot. I deleted the installed secure boot key and I was able to boot the installer. The key can be reinstalled. I plan to install Windows 10, will I need the secure boot key to install and run? Would the wireless card work with a z370-E? Thanks. Yes the DW1560 would work perfectly for that motherboard. Hackintosher – have you updated to 10.13.4 with everything still working? Working fine here on 10.13.4 with the new security patch applied. One of the least stressful builds to date. Almost identical build using the Sapphire RX 580 Pulse 8GB, Crucial Ballistix Sport LT (32GB)(2@16gb) and TP-Link Archer T9E 1900 wifi card IO Gear bluetooth and an additional USB card Sonnet Allegro USB 3.0 PCIe. Awaiting a USB C PCIe card ( AUKEY USB-C PCI Express Card with 2 USB 3.1 Type-C Ports )to complete project. Geekbench 3 @ 32450 Cinebench 1635/166fps. Not tried Facetime as I never used it yet. I have the exact same parts but using Sapphire RX 580 Pulse card and wanted to know whether someone on here who has the same build can share the EFI folder for clover boot USB and EFI folder for Clover Hard Drive Boot? Also can I now just download the latest 10.13.4 High Sierra from the mac store and run unibeast installer to USB and add the EFI folder and boot? Going to start putting the machine together on Saturday after the mother board (Maximus Hero X (wifi – AC) arrives on friday and just wante dto strat getting the installation software ready. Any one help with the EFI Folders for this same build and GPU? The link to the Efi folder is at the bottom of the article on this page. Thanks, I follow the exact same setup and successfully built my first hackintosh. The only problem is my bluetooth looks not very stable. But I can survive without it. Has any managed to get the usc type c port (red usb 3.1 gen 2port at the back ) working at correct speeds – my ports are showing up but when I connect my Ipad Pro it says speed is 480Mb/sec which is USB 2.0 speeds. Any one help? This is an amazing post, and very close to my own build. Unfortunately, without a lot of time on my hands these days, I just ordered my PC from NZXT using their build service, thus taking apart the motherboard to install the WiFi/BT card is off the table for me. Can I simply disable the internal Maximus Hero X card, and use the suggested WiFI/BT M.2 card you recommended, adding it to another Antenna kit, expecting similar results? Any help would be greatly appreciated. Thanks again for the great guide. Is there any help for the same build using a GTX 1080ti? Can’t get gpu to work properly neither audio. Hi I live in Australia, I’m doing my first build! For some reason down under the WiFi version of this card is more than twice the price of the non WiFi version – could you please outline how I would get wifi and bluetooth working on the non-WiFi motherboard? you have updated on 10.13.5 ? and what about USB’s on this version ? Hello, thinking of doing a build and like that ram… Are you able to control the color at all? If you set it in Windows and boot back to macOS, does the color stick? Thanks! however today, i just inserted bluetooh adapter in one of the usb, and i noted my system keep on restarting. I can’t find XFX GTS RX 580 8GB so any alternative recommendation please? @Hackintosher Thanks for this, I’m spec’ing out a similar build. Can anyone clear up a bit of confusion for me regarding M2 and SSD configs. 860 M2 for a work drive; then x3 250GB 860 2.5″ SSD’s for clones, tests, files, etc. From the specs it seems using the M2’s disables some SATA ports and/or reduces bandwidth. Can anyone with experience let me know if this mobo accommodate all those 5 drives and how best to set it up? Hello. I have exactly the same components as in your assembly just stood the video card 1080. But the problems with the release of drivers in Nvidia make me choose AMD video cards.I looked at the site( tonymacx86.com) there they recommend using the Sapphire video card AMD Radeon RX 580 PULSE OC [11265-05-20G].Tell me, this map has native support for Apple? Did you have to do anything special to get the NZXT m62 working? I really love how it looks and am considering m52 for my build. Unfortunately, I don’t have a copy of windows to install the CAM software though. Can it still work OOB on macOS or do you have to do tinkering with it on a windows partition? Thanks for any advice you can give! Thanks! That helped me out A LOT! I’m using the onboard graphics of the Maximus X Hero (Intel HD630) and a 20″ Philco tv that runs on 1080p through HDMI, but the image glitches a lot and sometimes flickers. I enalbled “Patch VBios” and “inject Intel” and changed “Dual link” to 0 in the Graphics tab of Clover Configurator, but it still glitches.